Complete with cable entries, 2.5 mm² terminals, 4 mm² earth terminals, earth continuity plate, M6 earth stud, stopping plugs and certification label. CE-TEK’s CEP black polyester (GRP) are available in 4 popular sizes and terminal configurations to meet our customer’s urgent Ex requirements. 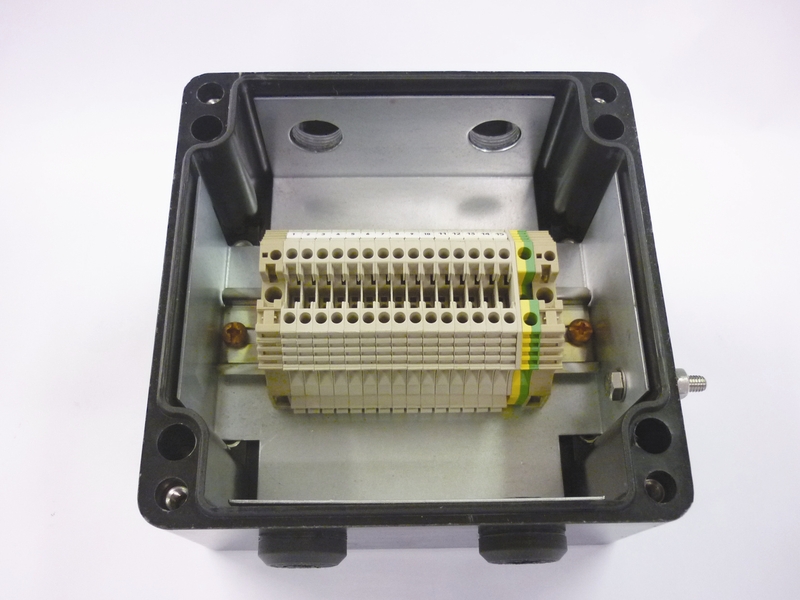 All pre-assembled enclosures meet current Ex e, Ex ia, and Ex ib requirements to ATEX 2014/34/EU and EN60079:2007. Available as T6 (85ºC) or T5 (100ºC) temperature ratings. CEP polyester enclosures have been designed to meet the highest standards of protection even when they are used in extremely unfavourable conditions, e.g. exposure to aggressive chemical media or hard mechanical conditions associated with industrial, petro-chemical and aerospace industries. The CEP range are moulded from glass reinforced polyester (GRP) and offers light weight and high impact strength making them suitable for housing electronic and electrical equipment of high value. The ‘shoebox’ design makes it aesthetically suitable for a wide range of applications including mounting key pads and electronic displays. The inside base of the enclosure has threaded bushings for fastening DIN rails, mounting plates or panels. The enclosure lid is secured with stainless steel fasteners which are located outside the sealed area.